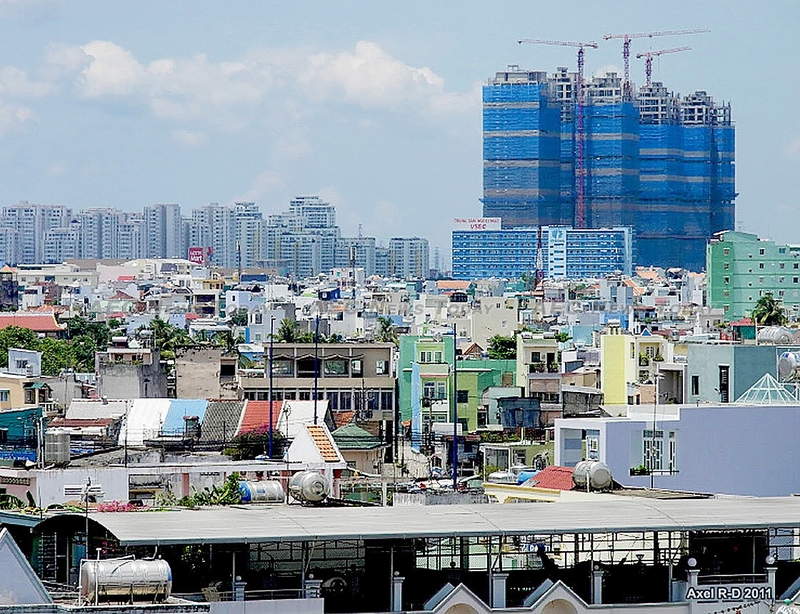 Attempts by the Vietnam government to stimulate the foreign-owned property market in Ho Chi Minh City (HCMC) have proved to be a dismal failure. Unclear and overly-complicated procedures and regulations are resulting in a glut of unsold and/ or unoccupied high-end apartments and condominiums, and a dearth of property within the price range of average city workers. 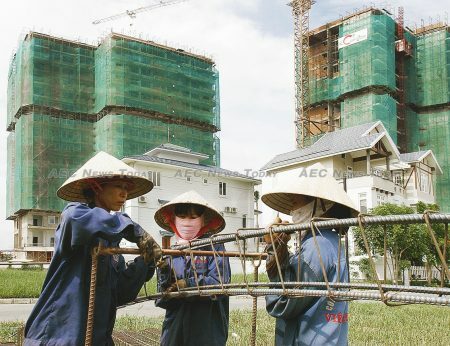 According to the HCMC Municipal Department of Construction (MDC) only 15 foreigners and Viet Kieu (overseas Vietnamese) had been granted house ownership certificates in HCMC as of May 15. The pitifully low foreign ownership level is despite a relaxation of foreign property ownership laws in 2015, and changes to the law on housing one year prior, aimed at driving increased investment through foreign-owned property. The new Vietnam Housing Law and the new Vietnam Real Estate Business Law permit foreigners to own up to 30 per cent of the total apartments in a condo building. At a ward level – HCMC District 1 comprises ten wards – foreigners can own a maximum of 250 houses under a 50-year lease, which can be extend for up to another 50 years. The previous law restricted foreign-owned property to a single 50 year lease. However, foreigners are prohibited from buying property in areas considered sensitive to national defense and security. The problem? There is no single definitive source identifying what areas are deemed national defence or security assets. Each foreign-owned property requires checking by several city departments, in addition to the the police, and the military. HCMC municipality has previously instructed relevant authorities to speed up the process for foreign-owned property, but with little result. Tran Vinh Tuyen, HCMC’s deputy chairman, has apparently run out of patience waiting for the influx of high net worth foreigners taking up residency and filling the plethora of vacant condominiums that are continuously springing up around the city. Tuoi Tre News says Mr Tran has ‘rapped the relevant bodies for their inertia’ in implementing a previous directives instructing the bodies collaborate more in facilitating the issuance of house ownership certificates to foreign individuals and organisations. According to Le Hoang Chau, chair of Ho Chi Minh City Real Estate Association (Horea), the overly complicated procedures, unclear regulations, and delays in determining which areas are off limits are causing prospective foreign buyers to walk away from purchases. This has prompted Mr Tran to call on relevant authorities to quickly publish a complete list. Figures collated by the MDC show that last year there were 57 housing projects comprising 27,790 housing units in the city able to raise capital from sales. Of these 5,630 units were in the premium segment (20.3 per cent), 16,750 in the intermediate segment (60.3 per cent), and 5,412 in the affordable segment (21.6 per cent). According to Tran Ngoc Quang, general secretary of the Vietnam Real Estate Association, developers in recent years have focused on premium and luxury apartments, despite some 80 per cent of the demand being in the medium- and lower-priced segments. In the next three years the HCMC residential property sector is expected to grow by 74 per cent. Though many people are concerned that too many developers are focusing on the premium end of the market, despite a recent Savills Viet Nam report that demand for luxury apartments in 2016 fell by 31 per cent. 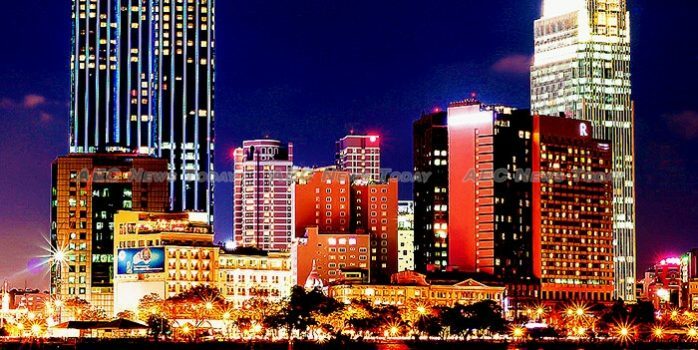 Despite this, global real estate broker Tranio forecast in April, that the number of apartments in HCMC priced above $2,000 per sq.m (10.76sq.ft) was expected to double within the next three years. In February Phạm Hồng Hà, Vietnam Minister of Construction, told the Prime Minister’s working group that Vietnam has enough luxury housing to last until 2020 without another project commencing. With some foreign property owners reportedly waiting three or more years to obtain house ownership certificates while it is determined if they are residing in a defense or security sensitive area and it is possible the current supply might stretch well beyond 2020… especially if cashed up foreigners are the intended purchaser.